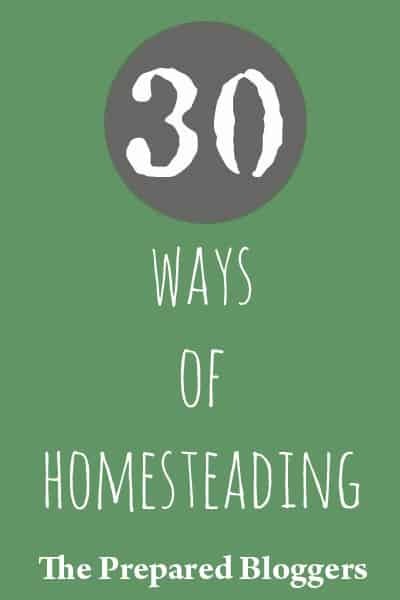 I’ve teamed up with some bloggers from The Prepared Blogger’s Network to bring you 30 Ways of Homesteading. You will find links to the other 29 posts at the end of this post. Since buying our property a little over three years ago we have been adding fruit trees a little at a time. 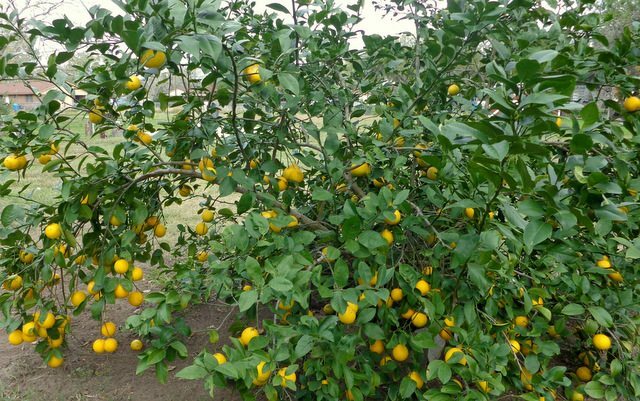 When we moved here there was a mature Meyer lemon tree and two mature pecan trees. Also, our neighbor has a mature mulberry tree that over hangs our property that he lets us pick. We’ve added a fig tree, two apples, a pomegranate, seven citrus trees (three oranges, two grapefruit, a key lime and another Meyer lemon), four grapevines, two pears, two plums, four peaches, four blueberry bushes, and avocado tree and a mulberry tree. We also just planted 50 strawberry plants. Our property is 1.5 acres, so while it’s not huge there is plenty of room to add fruit trees. Sometimes people think that if they don’t have a certain amount of property they cannot grow fruit. That just isn’t the case. You can use brick walls or fences to espalier the trees and grow a lot of fruit that way. Also, some citrus (Meyer lemon and Satuma) can be grown indoors if you have a sunny window. Before you run out and start buying fruit trees you might want to do a little bit of planning and learning about how to grow fruit trees. 1. Food security – For many reasons, a lot of people are seeking to eat local food instead of food that is transported hundreds and sometimes thousands of miles. Fruit grown on your own property is as local as you can get. When you have fruit growing on your property it makes you less dependent on stores and even local farmers. Many times a tree will produce more than one family can use. This is a great opportunity to share with friends, neighbors and charities that help feed the poor. It really is such a simple thing, to pick fruit and share the excess. We have a older friends who share their grapefruit with us each year. We go pick it for them and it blesses them as they don’t have to worry about it and, of course, it blesses us to have all the organic grapefruit we can eat. Even after our grapefruit tree matures we’ll go pick for them and take it to share. 2. Many years of harvest – Growing fruit is a long term relationship. It usually takes several years for trees, vines and bushes to get established and start really producing fruit. But once they do, they can produce for many years (some produce for 30 or more years). As many of you know, we have experienced long term unemployment before (4 years!) and sometimes I think about how much easier it would have been if all the trees we have now were mature at that time. We could have even used some of the fruit to barter for meat and dairy or sell at the farmer’s market. 3. Reduce the grocery budget – How much of your grocery budget is spent buying fruit? Imagine not having to spend that money because you have fruit growing in your yard. You could either reduce your budget or use the extra to buy higher quality meats and dairy. There is an upfront cost, though. Fruit trees can cost $20-$60 and that is significant. When our parents ask us what we want for Christmas, we tell them a fruit tree. When our kids want to buy us a Mother’s Day or Father’s Day gift, they know we would love a fruit tree, bush or vine. One day we won’t be doing this as we’ll have all the fruit we need, but until then it’s a great way to get fruit trees. 4. Help the bees – Bees need all the help they can get from us. And fruit trees help them out. Did you know that more hives fail in March than in any other month? The food the bees have stored is quickly being used up and there isn’t much blooming yet. Many fruit trees are the first things to bloom in the spring and provide much needed pollen and nectar for hungry bees. 5. Add beauty to you property. Fruit trees are absolutely beautiful when they are in bloom and when they are laden with fruit. 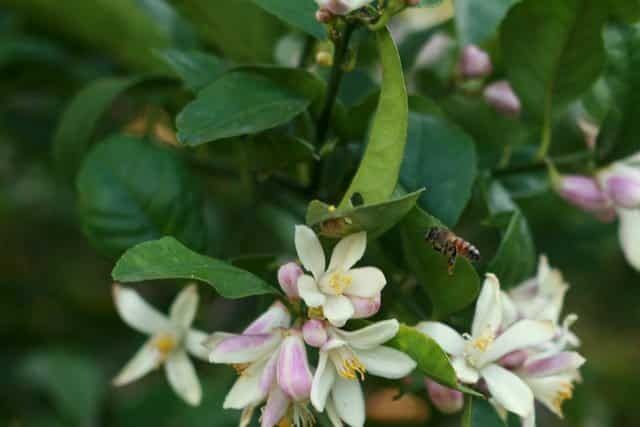 Citrus trees also have an amazing scent that will make you want to just pull up a chair and sit down for a while. However, fruit trees can be a huge mess if you don’t pick the fruit and let it just fall and rot. I see it all the time when I’m driving around town. 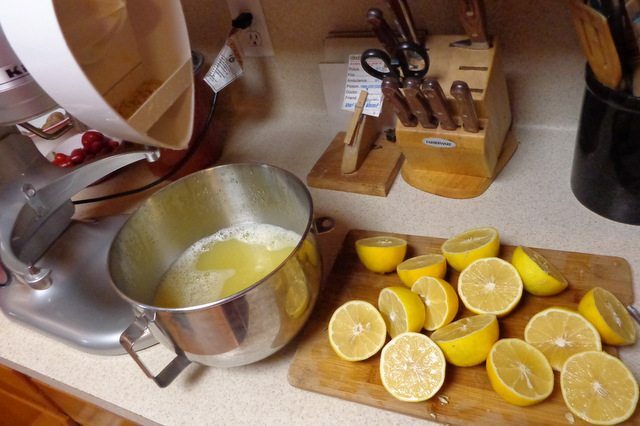 Many people plant a citrus tree on a whim and don’t think about what to do with the extra fruit. It makes me sad that it’s not being given away. Although some people disagree, I believe that growing fruit is one of the least labor intensive things you can do to raise your own food. 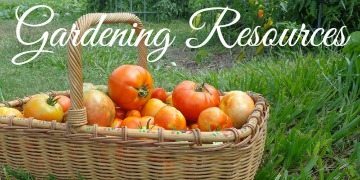 Yes, you have to care for them but our fruit trees and bushes do not take anywhere near the time that our vegetable garden does. 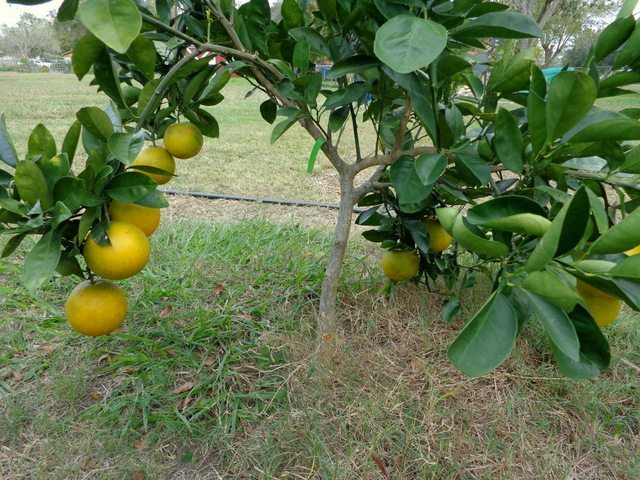 If you nourish your soil and deal with problems when they arise using organic methods, you should be able to have many years of fresh fruit for your efforts. 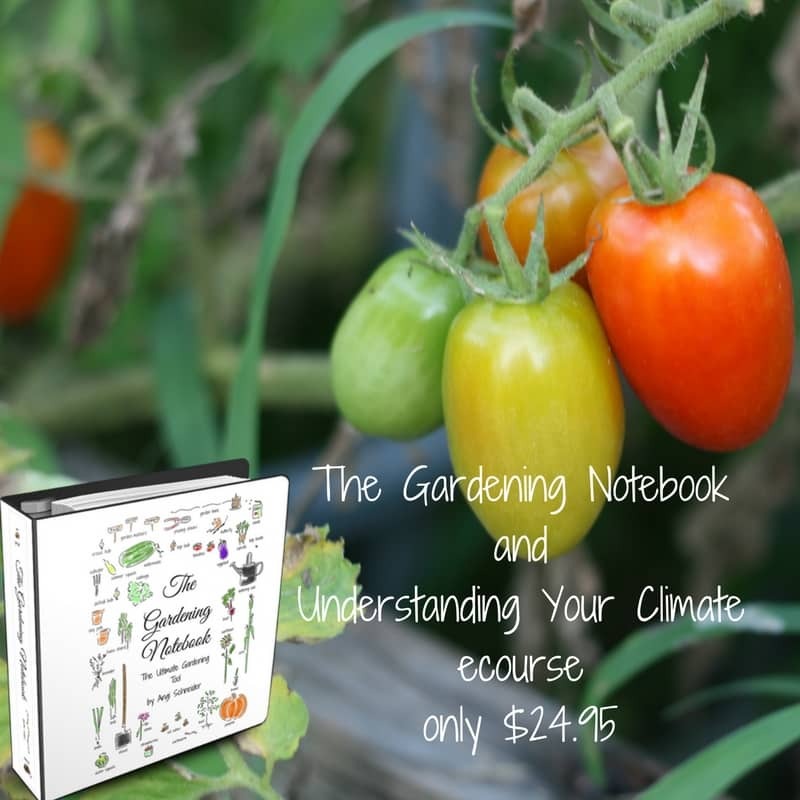 If you are new to growing fruit, you might consider purchasing a copy of The Gardening Notebook which will help you make plans and organize all the things you are learning about different fruits. 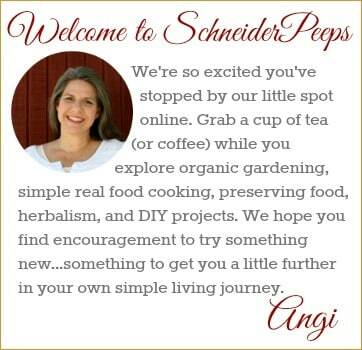 I also want to invite you to a free online Home Grown Food Summit. I’m so glad to know that someone else asks for fruit trees for special occasions! I know! People look at me like I’m crazy but it’s what I want. I want to start growing some japanese plum trees as well as berry plants. Would you have some suggestions for the best places to purchase the plants from? The prices differ a lot in the websites I checked without much information on the differences. That would be great help!